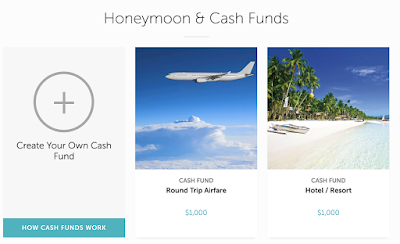 Completing your wedding registry can be an overwhelming task, especially if you have no idea where to begin. What's not fun about getting to run around your favorite store with scanners and pick out stuff you want, though? Just remember, you will receive all of the things that your darling fiance puts on your registry as a joke (we got a squatty potty). We registered at four different places. They all had their benefits and drawbacks. Zola was probably my favorite, but I would suggest having at least two registries if you do that because you will always have that one great aunt that wants to buy you something from a physical store and doesn't trust putting her credit card information on that new fangled computer contraption. 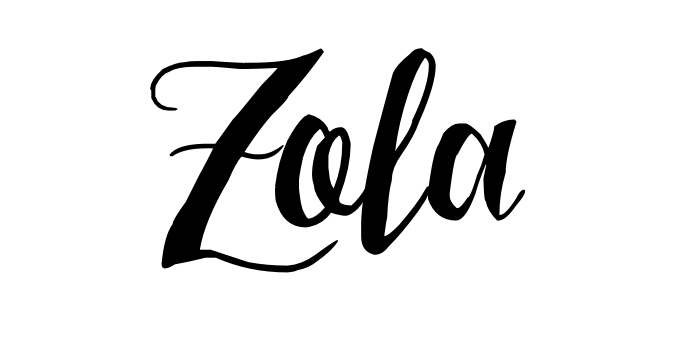 Zola was great because you can add items from several different websites. It also lets you convert gifts that people bought you into Zola credits if you get multiples of gifts or decide you want one big thing more than a whole bunch of smaller things.Zola also keeps track of your gifts and allows you to export a list for when you're writing thank you notes. This ended up being a key feature for me because some of the other registries (Anthropologie and Target) don't have that feature. 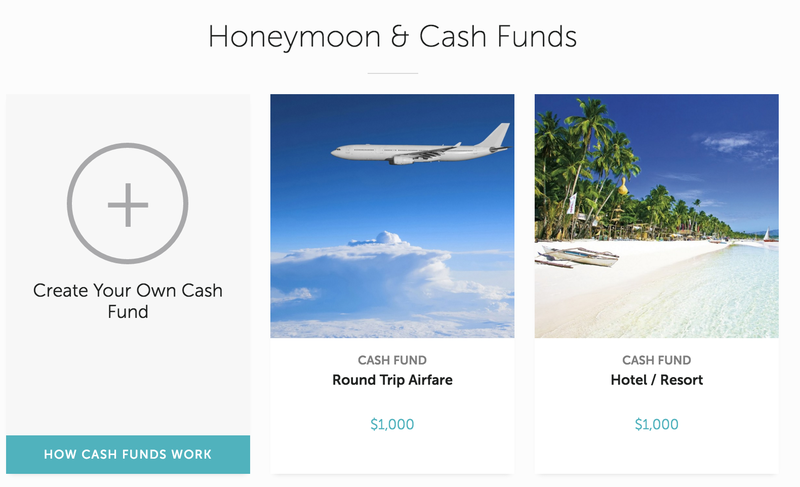 Zola also allows you to create your own funds or ask for contributions towards your honeymoon fund, which is great if you already live together or have all of the stuff you need for your house. 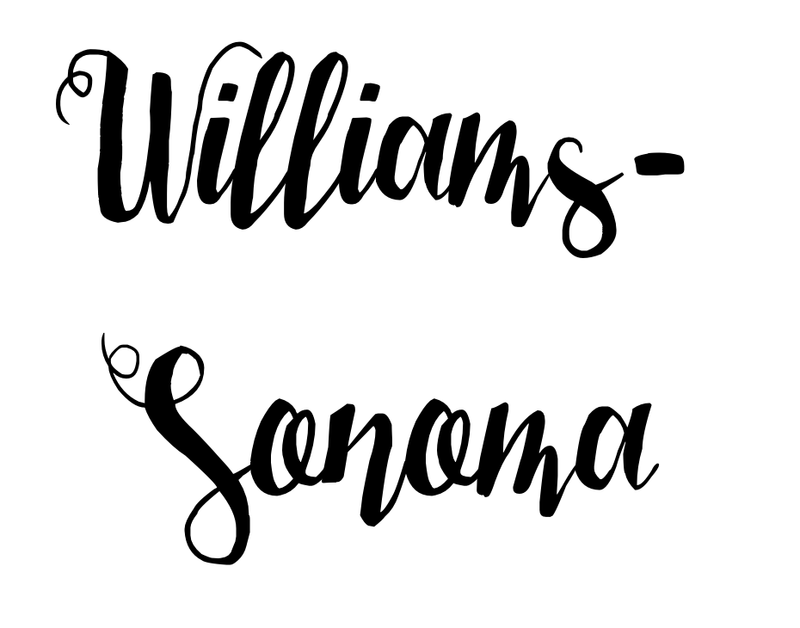 The Williams-Sonoma registry offered us the ability to go physically look at all of the fancy cookware that we wanted (Le Creuset). Zola offers a lot of the same items that Williams-Sonoma does, but without the opportunity to go see the items at a brick-and-mortar store. This registry was great for people who wanted to actually see the items that they were purchasing us but be able to order them from the store and have them shipped to us. 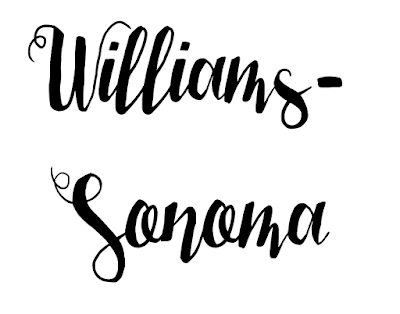 Williams-Sonoma also offers the exportable gift tracker list for thank you notes. Trust me when I say that you will be SO glad you have this. 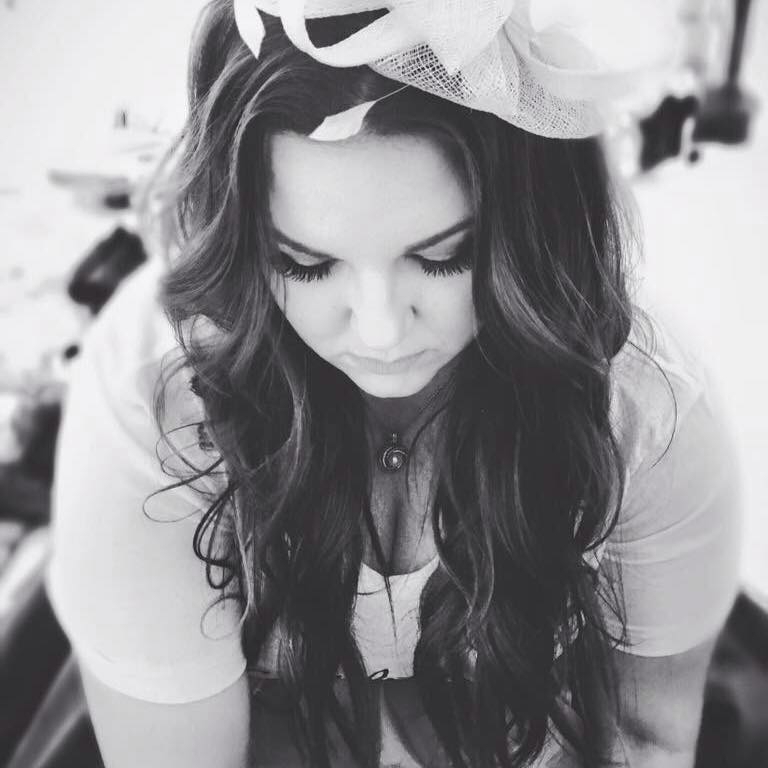 I kept a spreadsheet on Google sheets but when you start receiving a lot of stuff closer to your wedding day it gets a little overwhelming and you don't want to miss anything. Let me just start off with saying that I LOVE Anthropologie. Anthropologie offers a more unique registry option. You're going to find a lot of stuff here that you don't find on your more traditional registry sites. I used my Anthropologie registry for my bridal shower also and the only complaint that I had is that A LOT of stuff is back ordered....and when I say A LOT, I mean A LOT. We just received some plates that one of our guests purchased for us in February. 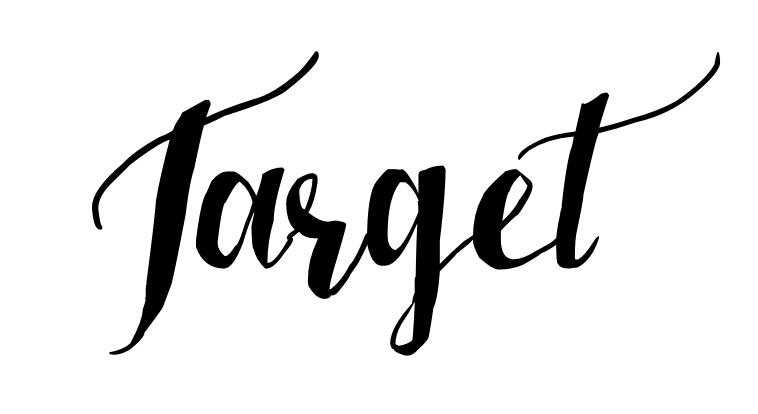 So, I may shop at Target too much. My husband would tell you that there's no question about that fact and that I could take the word 'may' right out of that sentence. When looking at Target for your registry, the major benefits are that they offer items at a price point for everyone and there are Target stores ALL over the place. 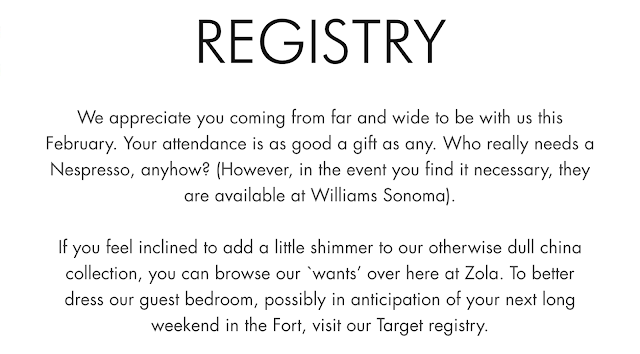 That being said, Target DOES NOT offer the easily exportable gift tracking list like Williams-Sonoma and Zola. You can print the gifts purchased list at any Target store, but it lacks the convenience factor that the other two have. Anthropologie will email you a list if call and ask for it. All that being said, it's Target and they have everything so it's a great option. 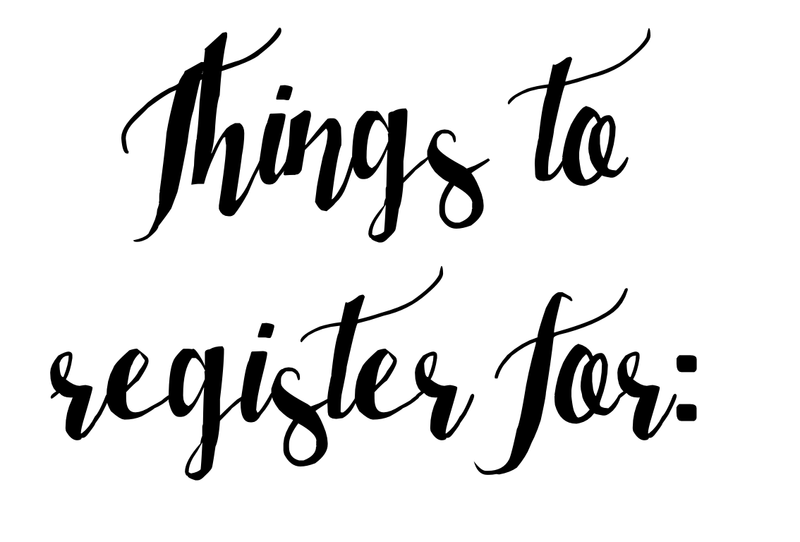 Most of the websites that I've listed have a really nice registry checklist feature. Keep in mind that not everything on that checklist is going to be essential for you, but it gives you a great guide to get started. Best of luck to you and hit me up with any specific questions!